As they become more dependent on their drug of choice, people isolate themselves, cutting themselves off from family, friends and activities they used to enjoy. Even when they want to come out of that world, they think they can or must do it alone. One addict told me that the only way for him to get clean was for him to do all of the work, there was no other way. What he was not considering is that as human beings, we are not wired that way. We are wired for relationship. We are not meant for isolation. Moreover, what if I told you that you can’t do it all on your own strength, that you need something from somebody else? The 12-Step recovery process for recovery was first created in the 1930’s, by Alcoholics Anonymous, but over the last 70 plus years, over 250 self-help groups have adopted these steps. Why do the 12-steps? Because they work! 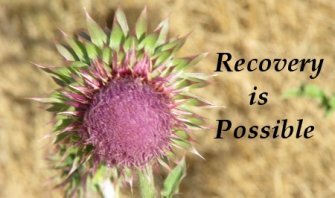 As you look through the 12-Step Recovery program, think of them as a process. Like a path you walk on to go from A to Z, only you must take all of the steps and go through each in order, otherwise the path does not lead to your final destination. You go at your own pace and move forward as you see fit. Along the way, remember that these steps were written by people just like you, who needed help and had the courage to accept the help. Regardless of your addiction, 12-Step offers improvement for the human condition. Enjoy your reading. Maybe you like Rev. Buchman and Bill Wilson will go through a spiritual experience of your own. If you do, please share it with us. Step One: We admitted that we were powerless over alcohol--that our lives had become unmanageable. Step Three: Made a decision to turn our will and our lives over to the care of God, as we understand Him. Step Nine: Made direct amends to such people whenever possible, except when to do so would injure them or others. Step Ten: Continued to take personal inventory and when we were wrong, promptly admitted it. 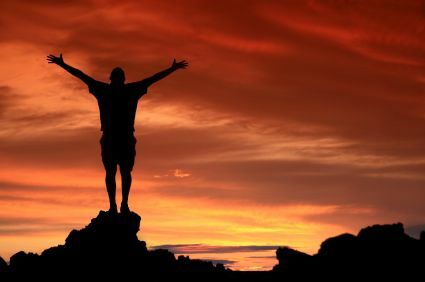 Step Twelve: Having had a spiritual awakening as the result of these steps, we tried to carry this message to addicts and to practice these principles in our affairs. 12-Step recovery has worked for millions of people struggling with addiction and it can work for you if you allow your higher power to help. The 12-steps help us to navigate completely through our recovery. Much addiction research has been done helping us to understand how we need to change if we want to recover from our addiction. The Stages of Change are the results of that research. We have now mapped how the 12-steps help us to navigate through this change. The above diagrams shows us that if we are willing to work the steps we can move toward life without addiction by making the right changes at the right time. Few other addiction treatments are as comprehensive and thorough as the 12-steps, which is why MOST addiction treatment programs require that their patients join a 12-step group. That ends our section on 12-Step Recovery, please visit our home page for more information on drug abuse and addiction.